Friends, while I'm not going to discuss the particulars of my sister's divorce or what I was told about how she was cheated on, battered, and abused during her marriage. My concern is for her safety these days. This is because her soon-to-be-former-husband has made a number of threats against her life. And friends, these are not "alleged" threats simply because I've seen them and verified them to be real. Fearing for her safety and security even more so in recent months, my sister has gone to the El Dorado County Court to request and obtain a Restraining Order against him. Believe it or not, after she appeared in Court and explained her fears and worries to a judge to obtain a Restraining Order, all as the law instructs with evidence in hand, she was turned down and refused a Restraining Order. Yes, California's El Dorado County Court turned her down even though she had presented to the Court evidence in the form of texts and voice messages which she saved for the Court to see. The evidence is clear and in his own words, it was all clearly showed to the El Dorado County Court. The court took note of the numbers of threats and every specific of what was texted and said in his own words. After being refused, nervous, full of anxiety, fearing for her life, not knowing where to turn for help, she asked the El Dorado County Sheriff's Department for help and maybe get some sort of advice as to what to do next. She was looking for any sort of advice. But believe it or not, they refused to give her any help or advice as to what to do to help protect herself. Yes, in an America where law enforcement is worried about be sued, we have law enforcement too afraid to even give a nervous and afraid woman advice as to how to protect herself. Friends, that in itself is just sad. And while I know that El Dorado County Sheriff's Department has it's own reality television show, their refusal to advise or help my sister is a pitiful commentary on just how useless the El Dorado County Sheriff's Department truly is in regards to protecting its citizens. For the record, I believe my sister should carry a stun gun with as heavy a charge as one can carry legally. While this is not a perfect defense, and really there is no such thing as a perfect defensive tool while even guns and knives have their limitations, a stun gun is better than nothing. It is certainly more than the reality television stars of the El Dorado County Sheriff's Department will provide her. Now as for the use of stun guns and other "arms" as legal options to protecting one's self, there is great news on this from none other than the Supreme Court of the United States just last month. On March 22nd, 2016, in Jaime Caetano v. Massachusetts, the Supreme Court overturned that decision in what was their first decision since the death of Justice Antonin Scalia. This is important because it actually addresses the Liberal argument against "types" of arms covered by the Second Amendment. For years, part of the Liberal argument against certain firearms and other weapons, such as an AR-15 rifle or a stun gun, is that such weapons do not fall under the Second Amendment because such arms were not around in 1789 when the Bill of Rights was created. The March 22nd ruling was unsigned and unanimous, and was generally presented as an objection to the Massachusetts court’s argument that "stun guns were not the type of weapon Congress would have envisioned in 1789 when the 2nd Amendment was written." The terms "arms" means "weapons" and does not only mean guns. And yes, the Oxford English Dictionary defines "arms" as "weapons". To "bear armed" is to "Possess or carry a weapon." "the right to bear arms." The Supreme Court of the United States agrees. In 2011, a Boston woman, Jaime Caetano, was beaten so badly by her ex-boyfriend that she ended up in the hospital. So when a friend offered her a stun gun to protect herself, she took it. Boston Police found Ms. Caetano's stun gun in her purse during a shoplifting investigation at a supermarket in 2011. She told police that she needed it to defend herself against her violent ex-boyfriend. She had already had obtained multiple Restraining Orders against him, but that did not stop his attacks. Massachusetts is among only five states that ban stun guns and Tasers for private citizens. And even though she told the police the situation, they arrested her for having the stun gun. During Ms Caetano's trial, she testified that her ex-boyfriend repeatedly came to her workplace and threatened her. But that all stopped one night when she showed him the stun gun. She said that he "got scared and left me alone." Again, even though that was the case, Ms Caetano, was found guilty of violating the state of Massachusetts law that bans private possession of stun guns, devices that deliver an electric shock when pressed against an attacker. Yes, as incredible as it seems, the state appears to have rather she be beaten to death than have a way to defend herself. Her lawyer, Benjamin Keehn, argued in her appeal that a stun gun falls within the meaning of "arms" under the Second Amendment. Mr. Keehn wrote in a legal brief that the state's ban "cannot be squared with the fundamental right to keep and bear arms." He also argues that self-defense outside the home is part of the core right provided by the Second Amendment. The case went to the Supreme Court to determine whether a state law that prohibits private citizens from possessing stun guns infringes on their right to keep and bear arms granted to all Americans under the Second Amendment. The great news for Ms Caetano is a win for all Americans because in the case of Jaime Caetano v. Massachusetts, the Supreme Court has held that the Second Amendment extends to all instruments that constitute bearable arms, even those that were not in existence at the time of the founding, citing as precedent District of Columbia v. Heller (2008). The Supreme Court also held that this "Second Amendment right is fully applicable to the States," citing as precedent McDonald v. Chicago (2010). The case that the Justices all cited as their benchmark precedent was District of Columbia v. Heller which was a 2008 Supreme Court decision that overturned Washington D.C.'s ban on handguns. That decision called Washington D.C.'s ban "unconstitutional." And yes, it was a decision famously penned by the late Justice Scalia. First the Supreme Court said that the Massachusetts court statement that stun guns are not protected because they "were not in common use at the time of the Second Amendment’s enactment" was inconsistent with the law in that District of Columbia v. Heller clearly states that the Second Amendment "extends to arms that were not in existence at the time of the founding." 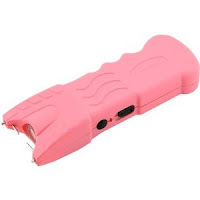 Second, the Massachusetts court stated that stun guns are "unusual" because they are "a thoroughly modern invention." By equating "unusual" with "in common use at the time of the Second Amendment's enactment," the Supreme Court's second explanation is the same as the first in that it is inconsistent with Heller for the same reason. Finally, the Massachusetts court used "a contemporary lens" and found "nothing in the record to suggest that stun guns are readily adaptable to use in the military." But, the Supreme Court did not agree and instead said that the Heller precedent rejected the proposition "that only those weapons useful in warfare are protected." While this is great news for people who need protection against the government regarding carrying stun guns and other arms, for me it has a bigger because it addresses our ability to arm ourselves and not be required to depend on the government for our safety or our security. "A State’s most basic responsibility is to keep its people safe. The Commonwealth of Massachusetts was either unable or unwilling to do what was necessary to protect Jaime Caetano, so she was forced to protect herself. If the fundamental right of self-defense does not protect Caetano, then the safety of all Americans is left to the mercy of state authorities who may be more concerned about disarming the people than about keeping them safe." What Justices Alito and Thomas wrote is very important because this upholds the meaning and spirit of the Second Amendment in that though a "state’s most basic responsibility is to keep its people safe" some states are "either unable or unwilling to do what was necessary to protect" us. As in the case of Ms. Jaime Caetano, she was forced to protect herself and the state of Massachusetts decided to attack her for doing so even though it was clear why she had possession of the stun gun. Yes, they actually charged and prosecute and convict her of a criminal offense for arming herself with a nonlethal weapon that may well have saved her life. Yes, as insane as that sound, the state of Massachusetts did in fact prosecute her for providing herself with some sort of protection against a known threat. And frankly, this is horrific in my book because it tells me that the authorities in Massachusetts were more concerned with punishing an already battered and afraid woman than understanding the peril she is in. Justices Alito and Thomas are absolutely right when they stated "If the fundamental right of self-defense does not protect Caetano, then the safety of all Americans is left to the mercy of state authorities who may be more concerned about disarming the people than about keeping them safe." So there we have it, this reaffirms part of the reason that we Americans have the Second Amendment of the Constitution of the United States. It is there to tell the government that we have the right to protect ourselves -- especially when the government, Federal, State, County, or City governments, cannot or will not do so, or even threatens us if we do. While this is a victory for 2nd Amendment supporters, it's a bigger victory for women like my sister who have been abused and are now being threatened. It is great that they can now find an alternative that is legal to carry. For her and others to have some sort of "arms" on them as a defense right now as a result of this Supreme Court decision is a real big deal -- especially since if attacked she, like others, cannot depend on local law enforcement to be there. I am a 79 yr old US Army vet living in Az. I bought a stun gun on ebay. It kicks 50 million votes, no sales tax or shipping for $13.47! When I go out it is always by my side. I would rather by safe than sorry!